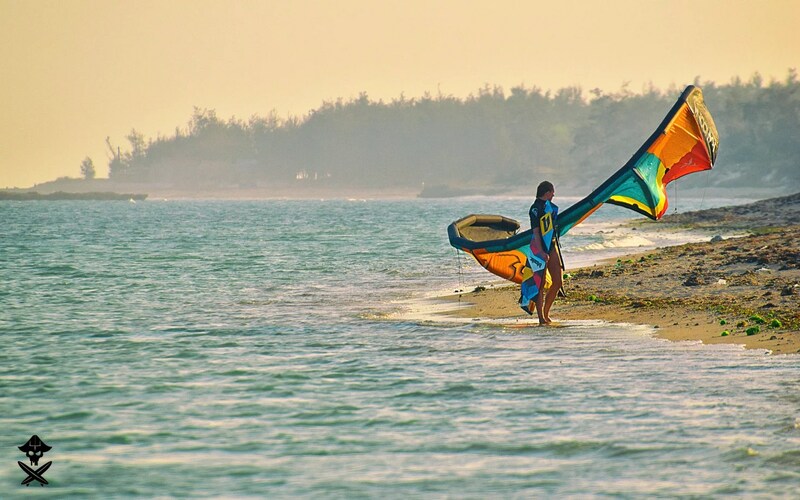 Vietnam’s popularity as a kite destinations is rising and taking into consideration wind statistics it won’t slow down. In the opposite – its shoreline is long and there are plenty of amazing spots. MY HOA (Phan Rang) is a destination that started to evolve about 5 years ago. 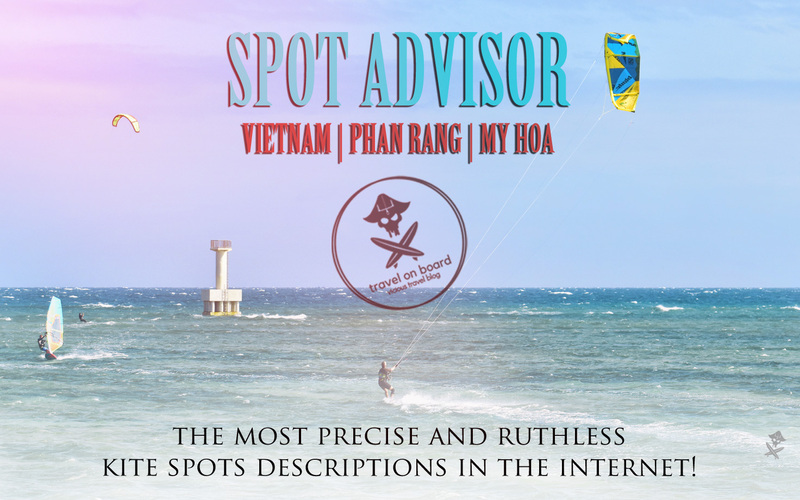 Today every kitesurfer in Vietnam knows it as Phan Rang is the best kite spot in Vietnam. GENERAL LOCATION: Most people call this spot PHAN RANG as it’s the name of the closest city but the correct location is My Hoa. My Hoa is around 150 kilometers from Mui Ne‘s: The Beach. There are two ways to get there. Most people arrives to Ho Chi Minh (Saigon) than goes to Mui Ne, stay there a while and than continue the trip with the bus to Phan Rang. If you want to get to Phan Rang directly from Saigon then you can do it by bus, plain or train. It’s worth to consider a flight as the tickets are not that expensive and you save a lot of time. More information about transfers you will find HERE. PRECISE LOCATION: There are not much options to stay on the spot in My Hoa (tents on one camping and dorms on the other). Most people get accommodation in Phan Rang. City center is about 20 km from My Hoa so the best is to store the equipment in one of the local kite schools and than get there either by motorbike either by taxi. You have to get on the road DT702 and when close to My Hoa look for the kites in the air. WIND EXPOSURE RATING (1-10): 9.5 – between December and March the wind probability is close to 100% (days with wind above 10-12 knots). The wind in My Hoa is usually stronger than in Mui Ne so this is also good option to go there if you’re in Mui Ne and the forecast doesn’t make you smile. WIND SEASON: the season starts with October and ends in April but first and last months have lower wind exposure (which still might be very decent). November and December were last years mental! 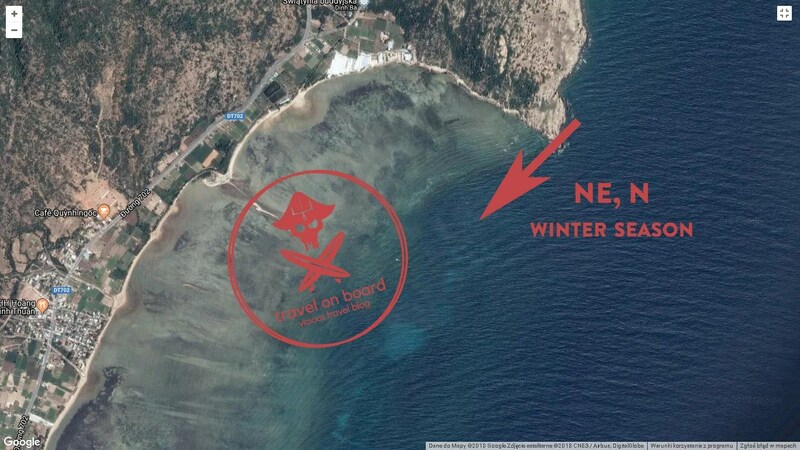 WIND DIRECTION: predominant wind direction for the spot is North East and North what makes it side shore and side off. The wind is usually changing during the day. It’s more from the North East at the beginning of the day and than adding more and more of north direction. WIND QUALITY RATING (1-10): 4.5 – the more the wind blows from the north the gustier it is as on the north side the bay is surrounded by the hills. As in generally this is a spot with lot of wind the gusts might be very hard and unpleasant. KITE SIZES: as already said: My Hoa is windier than Mui Ne’s The Beach. It’s good to have a set of 7+10 or 6+9 meters. Also take into consideration that Phan Rang is also a great wave spot and for riding surfboards you might want to have something even smaller. FORECAST RELIABILITY: I was in Phan Rang just few days so can’t say much but based on discussions with more experienced people the real wind might be stronger that this presented in the forecasts. FREESTYLE RATING (1-10): 8 – first part of the bay in My Hoa is shallow and thanks to this the water is quite flat so one can practice old and new school tricks with ease. Up to this – closer to the reef break are some nice kickers. 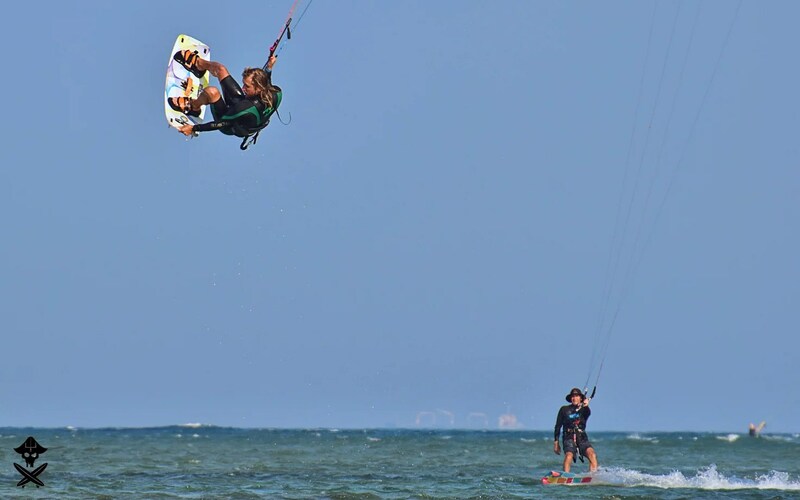 From all most popular kite spots in Vietnam (The Beach and Malibu) this one is just the best for practicing and progressing in freestyle. WAVES RATING (1-10): 9 – let’s be straight. I’ve spend there just few days (for sure more next year!) so my opinion might be a bit imprecise (talked with other riders that knows this spot very good tough) but I had there wave session of my life! The swell brings often big waves and the period is long. The break is at the reef around 200m from the shore. Waves breaks to the left which is very convenient when you’re goofie. With lower tide and off shore wind this place is an amazing wave spot with walls up to 5-6m sometimes. DEPTH OF WATER: water in the lagoon is around waist deep. Further, closer to the reef it’s deep what is actually good when you crash and waves starts to tumble you under the water. TIDES: average – there is much less water during the low tide so one need to be a bit careful when performing some tricks. The tides are not regular. 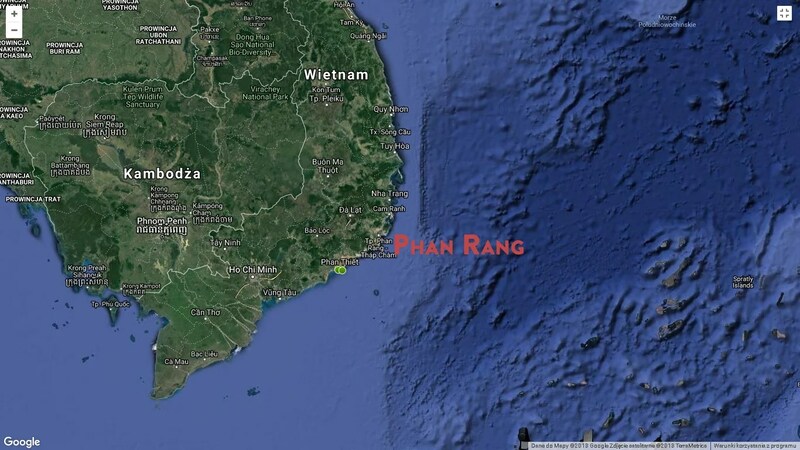 WETSUITS: Phan Rang is colder than Mui Ne. Take some short and thin wetsuits (2mm) just in case you’re not fully comfortable in shorts or bikini. DANGERS AND ANNOYANCES: there are some stones (some quite big! ), sharp shells and lot of unpleasant stuff when you walk on the sea flor. So if you plan to learn kiting or often loose the board than take the neoprene shoes. I will underline the stones as in some areas there’s more of them in some less and they’re quite big. The water is transparent so look around and scan the spot before jumping. 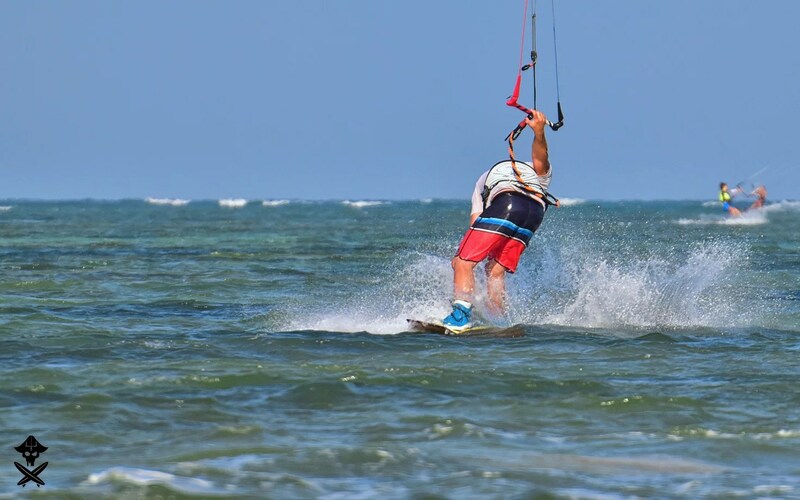 KITE COURSES SUITABILITY RATING (1-10): 7 – thanks to not to deep not to shallow water and plenty of wind this place for sure is good for teaching. The only thing that concerns me is the sea bottom and stones. Hope local kite centers will take care about it and the place will become safer. KITE SCHOOLS: there are 3 kite schools on the My Hoa beach at the moment. Two offers accommodation and one has a very good chef. Leave some room for the mango cheesecake. It’s awesome! I have never seen such active, nice and helpful beach boys as there. Amazing service. PICTURESQUE: My Hoa is a very relaxed and beautiful place. Not much infrastructure, long beach with soft sand (a bit polluted as in whole Vietnam), beautiful transparent water in the lagoon and hills around create some sort of magic that you soak through. SURF VIBE RATING: 4 – if you stay in Phan Rang city than the only surf vibe may comes from the team you came with. If you stay for the night on the spot than it’s better but still very chilled and easy as there’s no place to go for a beer (beside kite centers). Expect to go to sleep early. ACCOMMODATION: it is developing fast. 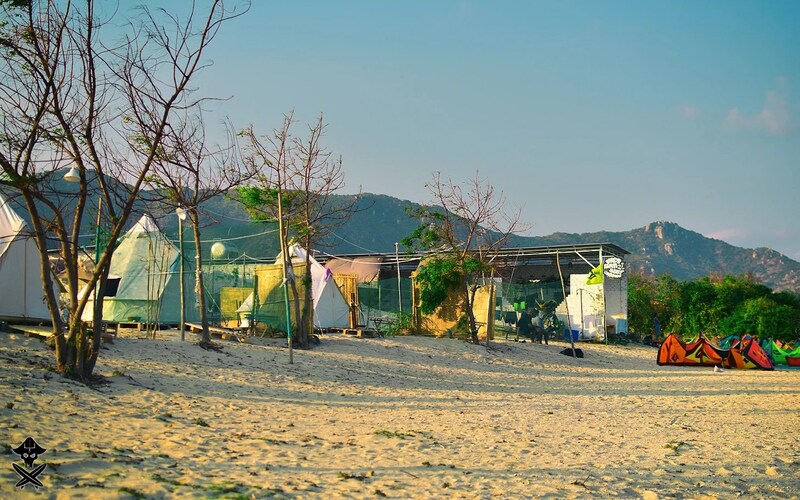 In the 2018 only two centers had in offer kind of for the ‘surf scouts’ accommodation – one has big tents and the other dormitorium. If you come with family or need comfortable bad and warm shower than there’s planty of options in Phan Rang city (also much cheaper). NO WIND ACTIVITIES: it’s rather not common to have here days without wind (in the season). But if so than there’s a very nice coastal road going up north that’s great for a motorbike trip. You can also arrange some short trips to Da Lat and Nha Trang. Please visit my gallery for all sort of beautiful pictures. For more pictures from My Hoa click here –> Phan Rang 2018. Some pictures showing the beauty of the area are in Roadtrip project.